In the interior design world, terms like “modern,” “contemporary” and “minimalistic” get thrown around a lot. But because they share so many of the same ideas, it can be confusing to know what they actually mean. Are they all different design styles? And if so, how? Whether you’re looking to describe your own personal style, or just experimenting with different styles to find the one that works for you, here’s everything you need to know about modern style. 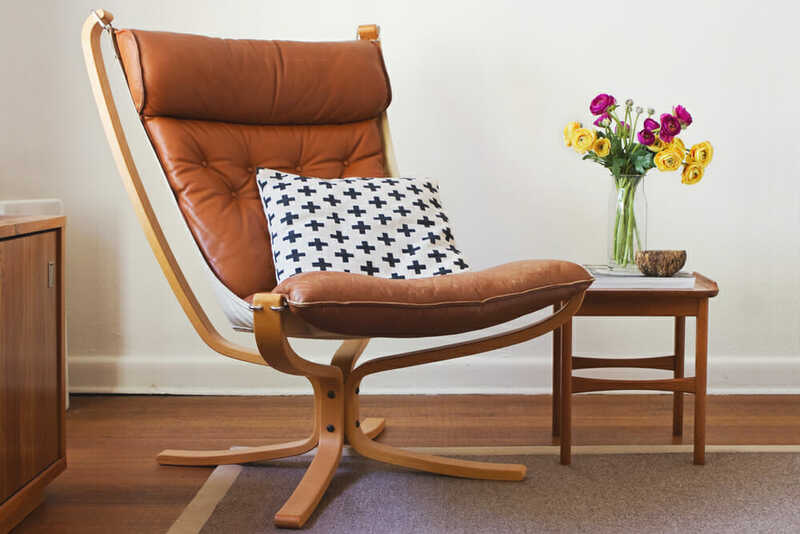 Is Modern Style Right for You? Although these two design terms are often used interchangeably, contemporary describes a larger category of styles and has more to do with current trends than with a classic and clearly defined style. 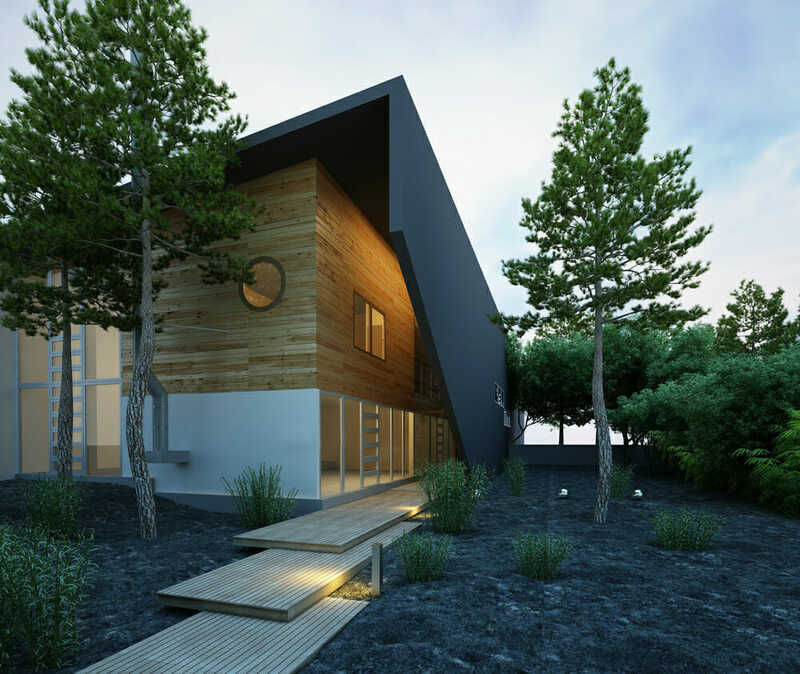 Contemporary can be used to describe a recent development within a number of other styles, such as contemporary rustic or urban contemporary. Contemporary style changes as new trends emerge, but modern style refers to a single, identifiable style that emerged between the 1920s and 1950s. Modern style first emerged in the early 20th century as a rejection of the elaborate Victorian and Gothic styles, which were heavy on ornamentation. Modernism can be broken down into several different sub-styles including Art Deco, Mid-Century Modern, and Bauhaus, all of which feature straight lines, clean symmetry, and functionality. 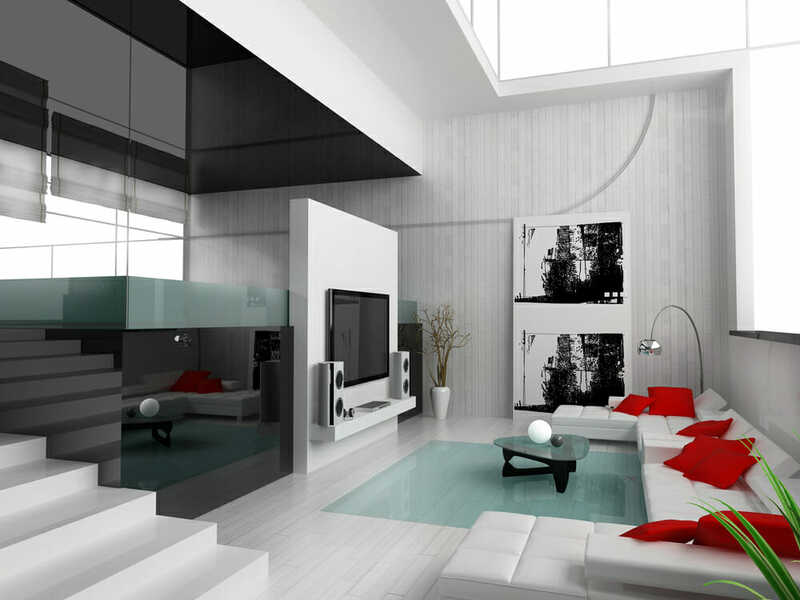 Like modern style, minimalism is a decorative style that has its roots in simplicity and spareness. But minimalism takes the sleek, uncluttered elements of modernism a step further with its strong focus on empty space and its lack of the bold accents and color that is common in modernist design. Modern architecture and interior design both operate on the principle “form follows function.” Buildings and furnishings are first and foremost practical rather than ornamental. Modern style strives to be honest and straightforward, without embellishment. 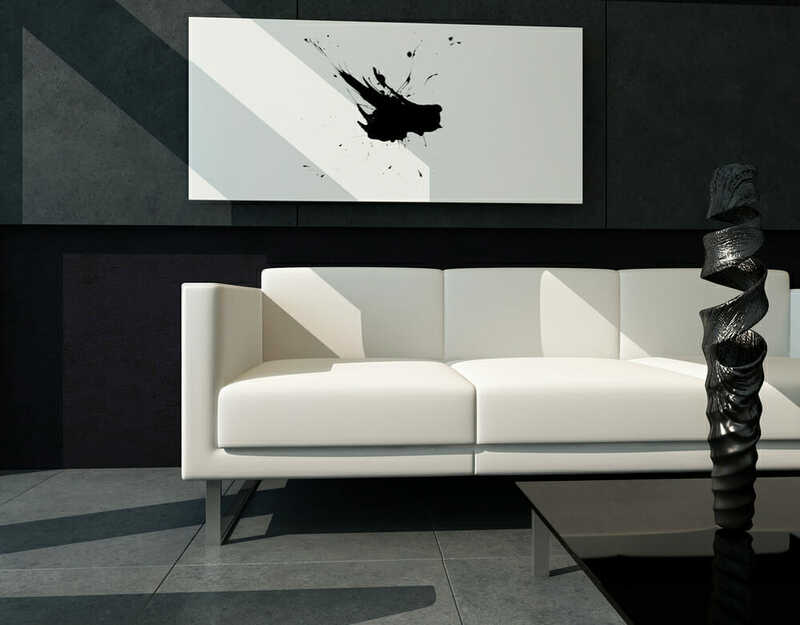 When it comes to furniture, modern style calls for pieces with straight, clean lines and sharp edges. Unlike previous styles, which relied on rich wood tones and heavy textures, modern design dictates that furniture should contain only elements necessary to fulfill its purpose. Modern style furniture features sleek, glossy surfaces made from plastic, glass, or polished wood. It is designed to meet a specific need within the home in the most unobtrusive way. Unlike previous styles, modernism doesn’t shy away from shiny, polished metals. Chrome and stainless steel are used for furniture legs and other structural elements of furniture as well as handles, knobs, lamps, sinks, and appliances. These bright metals complement the cool, clean aesthetic that is the hallmark of modern style. Plastic, plywood, and concrete are also commonly used materials. 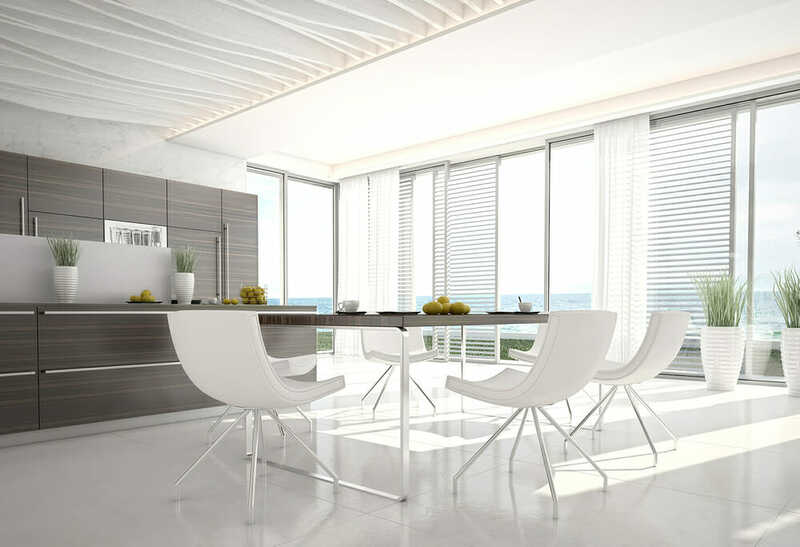 Another important aspect of modern style is a minimalistic eye for design, which limits furniture to the essentials and views decorations and accessories as unnecessary clutter. 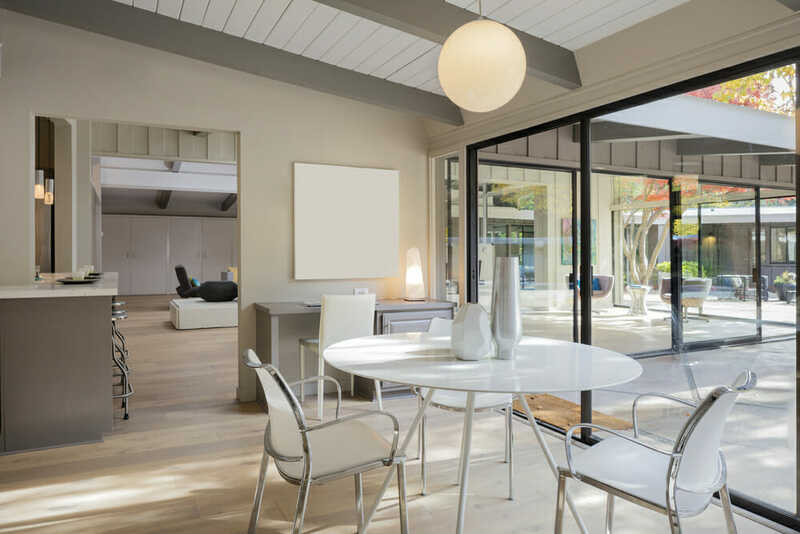 Along with minimal furniture and objects, modern style utilizes clear surfaces, and open floor plans that contribute to the sense of airy space. There’s no better way to make a room feel more spacious and breezy than with light-reflecting white walls and uncovered floors. While rugs are sometimes used to add texture or pattern, these are usually restricted to natural tones and materials. 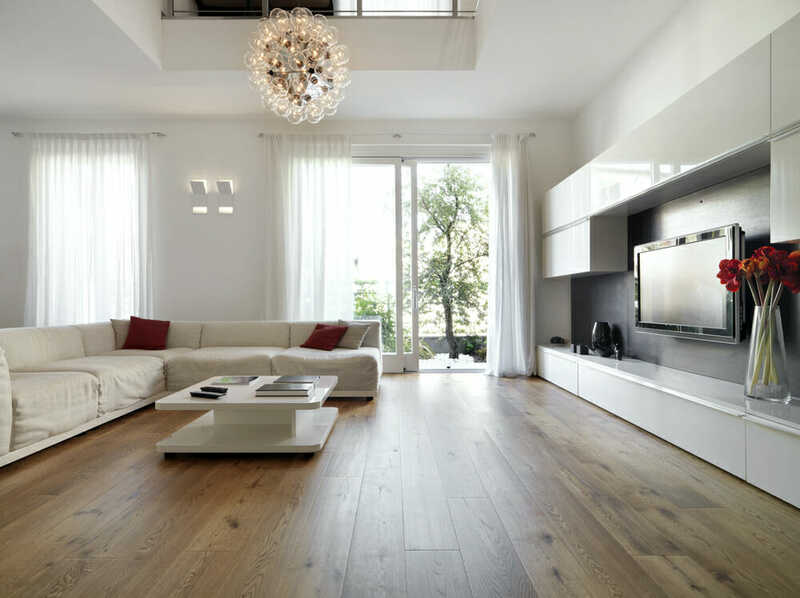 Floors are often made of sanded wood, over-sized square tiles, or even concrete. These bare floors enhance the simple, straightforward ideals of modern style. 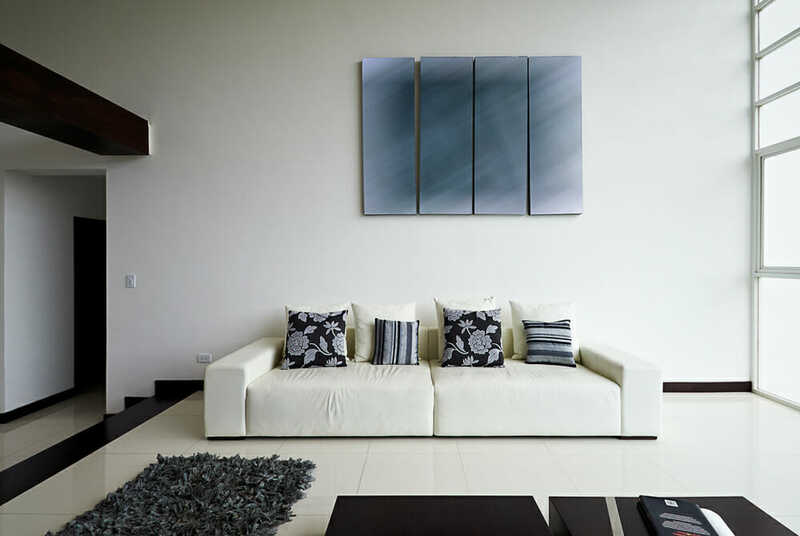 Rather than using small accessories throughout the house to decorate, modern style favors carefully selected pieces of art that create visual interest and soften the starkness of the other elements. Geometric pieces and abstract art that features clean lines and interesting angles make perfect accents for the spare, neutral aesthetics of modernist style. While modern style tends towards whites and neutrals for the overall color scheme, bold accent colors create a pleasing contrast that enhances the clean lines of the furniture and décor. Historically, modern style has focused on bright primary colors rather than muted or pastel tones because these colors are considered more pure. These bright pops of color are usually used sparingly and are often introduced through accents like throw pillows, rugs, or perhaps a single piece of furniture. Do you have a no-nonsense personality and appreciate when things are straightforward? Are you constantly looking for ways to make your small space appear larger? Do you feel tranquil and at peace in uncluttered spaces? Are you attracted to clean lines and crisp edges? Do you enjoy simple designs and monochromatic color schemes? Do you appreciate abstract art? Is open space important to you? Do you prefer to keep things stored out of sight? If you answered yes to most of these questions, then you might enjoy the timeless simplicity of modern style. 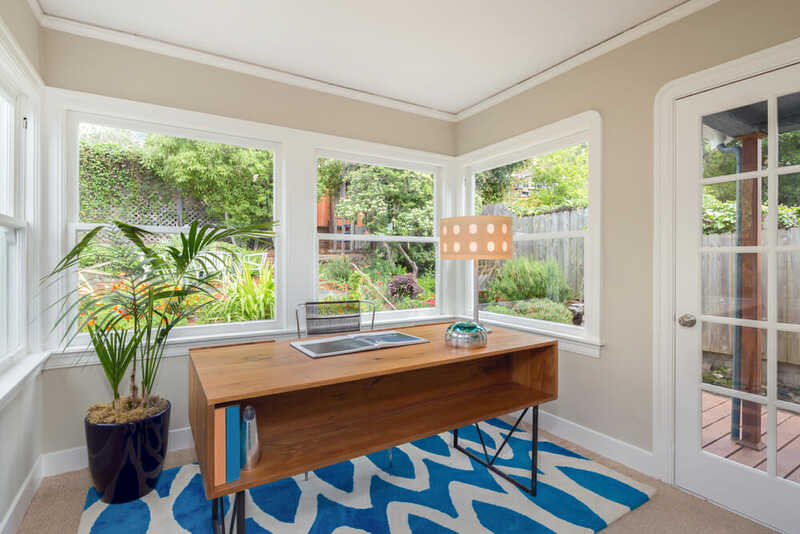 This style is especially well-suited to young professionals and to those who live in small spaces—although with some creative adaptations, even families with young children can rock a modern style home.